The breast cancer survival rate is the highest among all types of cancers, and survivors returning to work after completing treatment is extremely important in regards to economy and rehabilitation. The aim of this systematic review study is to identify the prevalence of breast cancer survivors who return to work (RTW) and the factors associated to RTW. A computer based literature search was carried out. "PubMed, Cochrane Library, Embase, Web of Science, and Science Direct" databases were searched systematically. Our search strategy identified a total of 12,116 papers of which 26 studies met the inclusion criteria and quality assessment. These were original papers published between January 2003 and January 2013. The trends in RTW differ among countries for the breast cancer survivors. The time to RTW after successful cancer treatment also varies among the countries and by ethnicity. The prevalence of the RTW varies from 43% to 93% within one year of diagnosis. The prevalence of the RTW for the Netherland is the lowest in the world (43%). The United States survivors showed the highest RTW (93%) within 12 months of the diagnosis. Numerous barriers and facilitators were identified as factors that affect RTW. For instance, socio-demographic factors such as education and ethnicity; treatment oriented factors such as chemotherapy; work related factors such as heavy physical work; disease related factors such as poor health condition and fatigue; and psychological factors such as depression and emotional distress, act as barriers of RTW. In contrast, social, family, employer support, and financial independency emerge as key facilitators in enabling breast cancer survivors to return and continue work. Minimising these identified barriers and strengthening these facilitators could further improve the work condition and increase the percentage of RTW among the breast cancer survivors. Breast cancer is the most common cancer among women in high-, middle-, and low-income countries [1, 2]. Studies have indicated that a majority of the women diagnosed belong to the working age group [3, 4]. The survival rates on the other hand have improved significantly, especially in the high-income countries [5, 6] because of advancement in cancer diagnosis and new cancer treatment regimes. Evidently, participation of female labour-force has increased over the last decades in high-, middle-, and low-income countries [2, 7]. Hence, the increased survival rates warrant attention for breast cancer survivors to RTW [8, 9]. For cancer survivors, RTW also underlines return to normal activities, social recovery and a positive step towards an improved quality of life, as well as rehabilitation after treatment. Socio-demographic factors, patients psychological and disease condition, treatment related factors, support from employer, self-efficacy and rehabilitation influence cancer survivors' work ability [2, 10–13]. 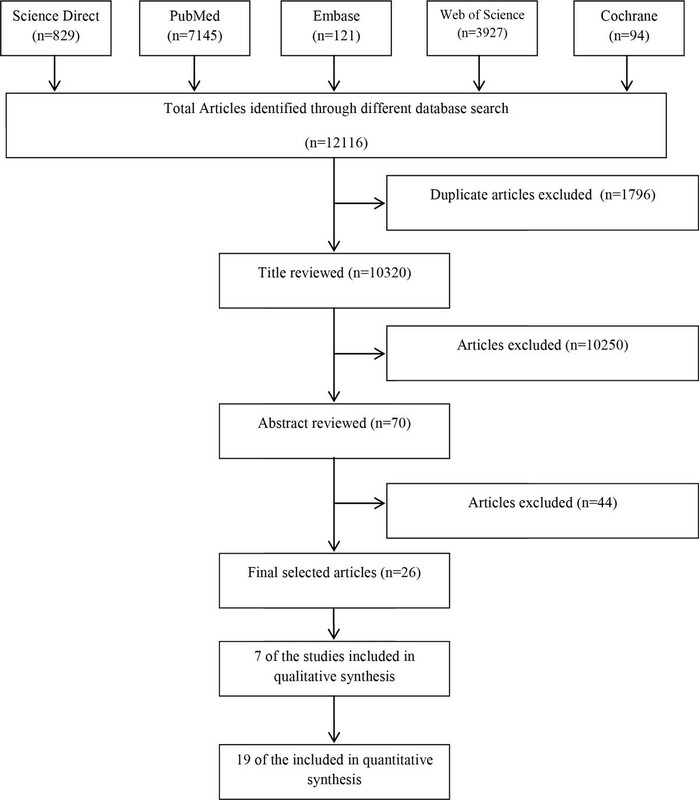 The literatures related to RTW among breast cancer survivors used both qualitative [2, 10, 14–18] and quantitative research methods, such as cohort [3, 8, 9, 19–26], longitudinal [6, 27–29], cross-sectional [13, 30, 31] and randomised trial . The qualitative studies emphasised on patients' psychological conditions, social as well as personal needs, and generated in-depth themes of the experience that survivors face in their workplace. In contrast, the quantitative studies stressed on the prevalence of employment, factors associated with RTW of cancer survivors across a large number of subjects. Hence, by combining both qualitative and quantitative methods, a thorough study could offer a unique means of examining these relationships. There are two systematic reviews [11, 12] on RTW among different types of cancer survivors that combined different types of cancers. To the best of our knowledge, only one systematic review paper  and one critical review paper  focused solely on breast cancer survivors. However, the systematic review paper focused on the effect and characteristics of four interventional studies on RTW among breast cancer survivors . The critical review paper was focused on the factors associated with RTW among breast cancer survivors and the effectiveness of the conventional intervention strategies. The study focused on the North-American and European survivors from the perspective of disability management (DISM) . To date, no systematic review has examined both qualitative and quantitative studies that emphasised on the prevalence and barriers to RTW in breast cancer survivors. Hence, the main objective of our systematic review is first, to assess the prevalence of RTW among breast cancer survivors and second, to identify facilitators and barriers associated with RTW. The PRISMA statement (Preferred Reporting Items for Systemic Reviews and Meta-Analyses) was followed as a formal guideline for this review. The criteria for the literature search for this review were the original papers published in English in peer-reviewed journals between January 2003 and January 2013. The search strategy involved the use of the following databases: PubMed, Cochrane Library, Embase, Web of Science, and Science Direct using extensive keywords search: "breast cancer", "return to work", "survivors", "employment", "employment status", "work" and "work activity". Article titles that were identified during the initial search are first, screened by two independent reviewers--the primary reviewer (TI) and the second reviewer (TTS). Next, the selected titles are re-examined in the abstract review stage whereby two reviewers (as mentioned above) independently assess each abstract. In the third stage, the full text papers deemed as relevant based on the abstracts are obtained and further evaluated by two reviewers in terms of relevancy, quality and inclusion/exclusion criteria. A third reviewer (MD) is conferred and responsible to make the final decision should the initial reviewers disagree about an inclusion of a study. In addition, the reference lists of the selected articles are further reviewed to find other relevant studies, particularly those that were not identified in the initial search. We included the articles that had following the properties: (i) were original articles using either quantitative, or qualitative methodology; (ii) reported prevalence of RTW or NRTW in quantitative studies (iii) focused on factors related in return to work among breast cancer survivors. We excluded articles that (i) reported on all types of cancers and did not specify the breast cancer; (ii) were Protocol, Review article and Meta-Analysis; (iii) concentrated on work related breast cancer risk factors (e.g. industrial or environmental risk factors); and (iv) reported results based on the assessment of medical staff and employers or colleagues instead of breast cancer patients. Both qualitative and quantitative studies are included. Studies that measured work related outcomes such as: (a) partial or full return to work, (b) absenteeism, (c) work disability, (d) employment status, (e) prevalence of return to work, among breast cancer survivors. Data were extracted from the included papers by one reviewer (TI) and checked for accurateness by the second reviewer (TTS). Disagreement in data extraction between reviewers was resolved by consensus. The extracted data included: first author, year and journal of publication, country, study design, sample, percentage of the population who RTW, factors associated with RTW or facilitator and barrier of RTW or employment and other comments on RTW. For our qualitative and quantitative studies we have used different quality assessment tools. National Critical Appraisal Skill Programme (CASP) Appraisal tool was used for qualitative studies . For the quality assessment of cohort, cross-sectional, randomised trial, and longitudinal studies we consecutively used the New Castle Ottawa Scale (NOS) , British Sociological Association (BSA) Medical Sociology Group , Jadad scale , and Quality Assessment Tool for Systemic Reviews of Observational Studies (QATSO) . More details about these quality assessments are described in Additional file 1. Our search strategy identified a total of 12,116 articles; among them 1,796 articles were excluded due to duplication. 70 potential articles were identified based on the relevance of abstracts. Following a thorough review of the full text articles and after quality assessment, 26 articles were eligible for inclusion (Figure 1) [2, 3, 6, 8–10, 13–32]. Detailed findings of these articles are shown in Table 1 and 2. Flow chart showing inclusion/exclusion of individual articles (or studies) for systematic review. Summary characteristics (study design, facilitator & barrier of return to work ) of included studies. first to help support these women during their sick leave and second to initiate a work resumption support process which takes into account both the person and her environment. Not able to work same extent as previously. Work ability of long-term breast cancer survivors who are disease-free and back in work is impaired in comparison with that of cancer-free women. √ discrimination at work was rare. √ The time taken to RTW after early stage breast cancer was principally determined by the type of treatment. Potential interactive relationships between biomedical and psychosocial circumstances affecting the return to work process. Non-Latina white has more family history of cancer which helps them to accept it. During initial RTW, physical & psychological side effect hampered work resumption. In the post RTW stage, work environment is the important factor. Prevalence of return to work among cancer survivors. The background characteristics (study design, sample, factors associated with return to work related to facilitators or barriers of return to work, etc.) that are identified in these articles are shown in Table 1. Out of the 26 studies, seven are qualitative studies and 19 are quantitative studies. Among the quantitative studies; 11 are cohort, four longitudinal, three cross-sectional and one randomised trial study. Out of the 26 articles, 16 studies are from the Europe continent [3, 6, 8, 10, 13–15, 17, 18, 21–24, 26, 29, 32], eight studies are from the North America continent (USA and Canada) [9, 16, 19, 20, 25, 27, 28, 31], and only two studies are from the Asia continent [2, 30]. Among the socio-demographic factors, survivor's age, education, marital status, number of children, ethnicity, household income and existence of relationship with surrounding people are important contributors that have relation to RTW. Younger age , higher education, marital status-single, high-income [14, 19], positive social support from friends and family increase the likelihood of return to work [8, 16, 18, 27]. Breast cancer survivors, who are single, divorced or widowed preferred to return to their work [8, 30]. However, financial insecurity may also be the reason behind this. Older [8, 19, 28] and married survivors  are less likely return to their work after the completion of their treatment. Marriage was a negative predictor of employment among Korean women as they were not the principal earners . Lower educational level [8, 30], low household income [13, 19, 27, 30], overprotective family, poor social support [2, 17] are considered as the barriers for return to work among cancer survivors. Education level had a relation with the type of job, for example, low educated patients were more likely to work as manual workers and, therefore, engaged in heavy lifting jobs and experienced fatigues . Low household income may be both a cause or result of unemployment . However Ahn et al. , described that the Korean women aged 40 years and above compared to those aged lesser than 40 years old more likely kept their respective jobs after treatment. Some of the selected articles have found age [9, 21, 24, 26, 32], marital status [21, 26, 32], educational level and underage children [21, 26] as factors that have no relation to survivors who RTW. Besides, different ethnicities have different impacts on cancer survivors [2, 16]. For example, Non-Latina White survivors have more family history of breast cancer and this background has helped them to accept the notion of being diagnosed with breast cancer compared to the Latina group for example, who is more afraid of death. Similarly, the African-Caribbean and Malay group ethnics receive better support from their friends and family, which then positively affects their decision-making. Acceptance of cancer is also common among the Chinese ethnicity. The disease related factors include stage of cancer, physical fitness level, exhaustion, fatigue, tiredness, pain and multiple co-morbidities, among others. Early stage breast cancer and good self-rated health are important facilitators for RTW [26, 28]. Fatigue and exhaustion were the most frequent problems reported by cancer survivors [2, 6, 13, 24, 30, 31]. As such, fatigue is one of the most important factors that prevent cancer survivors to rejoin the workforce or reduce their capability to work. Furthermore, fatigue is also seen to affect patients psychologically. Advanced disease stage, new cancer episodes, tiredness, pain, other associated co-morbidities are other prevalent barriers of re-employment [2, 8, 14, 30, 32]. Treatment related factors refer to methods of treatment which survivors had gone through such as surgery and adjuvant therapies like chemotherapy, radiotherapy and hormonal therapy. A few studies have found that patients who received other adjuvant therapies except chemotherapy  or patients who did not receive any adjuvant therapy , return to work earlier. Chemotherapy was found to be a major barrier in most of the quantitative studies [6, 8, 20, 21, 23–27, 32] due to its side effects like nausea and vomiting . Even after completing treatment, several side effects of chemotherapy such as depression, fatigue and cognitive dysfunction were said to persist and contribute to the work inability . In addition to chemotherapy, extensive surgery such as mastectomy and axillary node dissection, irradiation to breast or chest wall, and regional nodes, hormone and radiotherapy were also found to be important barriers to RTW [8, 21, 26, 30] as both surgery and radiotherapy to the regional nodes cause arm morbidity. And as a result, arm morbidity after breast cancer treatment reduces work capability and also causes psychological problem [32, 40]. However, only few studies have found that chemotherapy and radiotherapy do not have an effect on RTW [19, 25, 28]. There are several psychological factors which influence patients' decision making on RTW. Higher life satisfaction as a whole (satisfaction with vocational situation, somatic health and psychological health), willingness or self-motivation, normalcy and acceptance to maintain a normal environment at work, are some of such important factors. Changes in emotional states such as depression, worry, frustration, fear of potential environmental hazards, and feeling guilty are potential barriers that influence survivors' decision making to RTW [2, 8, 14–17, 31]. Physical appearance, privacy, poor social support in the workplace, and job discrimination, are factors associated with survivor's psychological ill health [2, 17]. There are several work related factors, such as type of jobs (e.g. manual vs. desk job, stressful vs. non-stressful job), job facility, flexibility, support from colleagues and employers as well as perception of job importance by breast cancer survivors that motivate them to RTW. Almost all the articles have identified that positive and active support from employers and colleagues are the key facilitators to RTW [2, 8, 13, 14, 16–18, 20, 22, 26, 28]. Survivors who returned to work after treatment look forward to a flexible working schedule, less manual job and job security while they too have equal rights of a healthy worker. Clearly, these supports can be provided in different ways. For example, employers made changes to work schedules, thus making it easier for women to have their cancer treatment and additional arrangements to ease the workload [17, 18]. Health insurance coverage provided by employers also plays an important role in RTW. According to Hasset et al. , 93% of insured women return to their work within 12 months after diagnosis in the USA. Interestingly, the USA does not provide free healthcare for its citizen unlike the UK and Canada. As such, most people in the USA rely on private healthcare institutions, thus, the fear of losing health insurance can significantly influence RTW after cancer treatment . It is also found that, among the Canadian breast cancer survivors, women who belong to an employee union are more likely to be absent for some period than women who do not belong to a union [9, 20]. Manual work, stressful job, lack of support from colleagues, employers and/or occupational physician, reduced working hours, decreased wages were factors identified that discourage survivors to re-enter their jobs [2, 6, 8, 9, 13–16, 18, 26–28, 30]. Among these factors high job demand and negative or lack of support from the colleagues and employer emerge as primary barriers for survivors. On the other hand, national health insurance system  and early or longer disability pension [3, 29] were found to delay or reduce RTW. One such example includes the Dutch disability policy that was amended in 2004, a distinct decline was noticed in RTW among breast cancer survivors  as a result of granted absence compensation for a period of two years instead of one year for sick people. Table 2 describes the detailed information of prevalence of RTW among breast cancer survivors. Out of the 19 quantitative papers, 13 papers revealed information on percentage of survivors who RTW and 3 papers showed the percentage who were absent from their work. Different studies have elaborated different timing and percentage of survivors who return to their work. The prevalence of the RTW varies from 43% to 93% within one year of diagnosis. The prevalence of the RTW for Netherland is the lowest in the world (i.e. ; after diagnosis 43% RTW). The USA survivors showed the highest RTW (93%) within twelve months of the diagnosis. There is wide range of time of RTW among cancer survivors, from six months to no specific time limit. The prevalence of the RTW for the low-income Latina in the USA was the lowest with 27% returning to work at six months . Even after three years of diagnosis, only 53% of low-income Latina and 59% of Non-Latina White survivors return to their work. Another study within the USA have found that survivors with health insurance coverage showed the highest RTW (93%) 12 months after diagnosis . Ethnicity, cancer stage during diagnosis, treatment, job type, income, insurance and quality of life were important drivers for this discrepancy in return to work [16, 25]. Income related disparities in regards to quality of life could also help explain the difference in employment outcomes between low-, middle- or high-income survivors. Employment covered health insurance system also play an important role, as fear of losing health insurance significantly influences the decision to resume employment after cancer treatment . The objective of this literature review is to provide an overview on breast cancer survivorship issues namely those related to employment and work. After an extensive literature review, we have identified 26 articles that have analysed the frequency of employment and return to work, absenteeism from work, factors related to employment, i.e. facilitators and barriers of returning to work. The prevalence of RTW varies from 43% to 93% within one year of diagnosis. Without a time limitation of one year, prevalence of RTW was low at 27% (low-income Latina ethnicity in the USA) to as high as 93% (among the USA cancer survivors with employment related health insurance). From this literature review, we have identified that white collar job, early tumour stage, self-motivation, normalcy and acceptance to maintain a normal life, support from the friends, family and workplace, employment related health insurance are the important factors that facilitate survivors' RTW. Conversely, low-income, on-going chemotherapy, fatigue and exhaustion psychological constrain, high job demand, poor support from the colleagues and employers are the potential barriers influencing cancer survivors not to resume their job. Despite these challenges and barriers in RTW, our research noticed that a majority of cancer survivors do tend to return to their work in the long-run [6, 21, 25, 28]. The notion of returning to the labour market is a sign of regained well-being and a reconnection to ordinary life. In fact, it is also seen as a positive step towards rehabilitation. However, it should be more cautious in some instances because survivors returning to work may be a reflection of lack of support, financial burden or fear of medical insecurity. Cancer survivors return early if they have financial need for their treatment or family commitments. Health insurance system and benefits such as sick leave and disability pensions have great influence on survivors' RTW in both positive and negative way [2, 9, 25, 29, 30]. Each country may face unique challenges in RTW since breast cancer survivors from different countries have different psychology and socio-cultural make-up. For example, a study in the USA revealed, Chinese women were found to continue working throughout the treatment period . This was attributed to better acceptance of cancer diagnosis amongst the Chinese group compared to the other ethnic groups such as the African, Filipino or Latina. In the Asian countries, women tend to participate less actively in the workplace, become more committed to their families and are economically dependent on their significant others after marriage. A study in Malaysia  has found that, financial independence was mostly expressed among the Chinese ethnicity compared to Malay and Indian ethnics. Future studies should observe if the rate of RTW amongst Chinese women is higher compared to other races. Breast cancer survivors also tend to be younger in Asia than survivors in Western countries . Thus the rate and factors associated with RTW may differ in Asian countries as to Western countries. Thus, we also suggest that additional studies should be done among different ethnic breast cancer survivors in Asia and Asian immigrants in Western countries. Our systemic review paper focused only on breast cancer and we have included both qualitative and quantitative papers. Qualitative articles focused on survivor's deep thoughts, psychological condition, feelings regarding work and these findings aided as we explored the perception of facilitator and barriers to RTW. Conversely quantitative studies, provided information on the prevalence of RTW and the factors that either supported or discouraged RTW, which increased the understanding and support towards a better environment of workplace for the breast cancer survivors. Most of the studies were moderate or high quality paper except for one paper. However, the paper was assessed by Jadad scoring and it has only two categories such as high or poor quality. There is no scoring for moderate quality paper. Although we systematically searched the literatures, the papers that met with inclusion criteria and quality assessment were from high-income countries except for one study from low- and middle-income countries. Hence, factors that affect RTW among the breast cancer survivors in low- and middle-income countries remain scarce. This calls for more research on the issue of RTW and its socio-economic impact to prepare for the increasing cancer burden in Asia and low and middle resource countries. There is also lack of studies from other continents such as Africa, Australia and South America and this again is a drawback to understand RTW issue globally. We also could not conduct meta-analysis as different quantitative studies defined the RTW in different ways especially for timing. Besides, the categorizations for employment were inconsistent among the papers, for example, full-time or part-time or a combination of the both. Breast cancer survivors are more likely to continue working after the completion of their cancer treatment. Future research is needed to examine the prevalence of employment and factors that affect RTW among breast cancer survivors in low- and middle-income countries where these factors may be diverse and different. Increasing cancer burden in Asia warrants special attention as socio-cultural values, participation of female labour force, health insurance system, employment and law/environment varies to those of the Western countries. Besides, papers related to RTW should explicitly mention the "time" of RTW specifically as well as distinguish women who have a choice about RTW, and those who need to RTW out of any other option. We also believe that future meta-analysis, and studies from all over the world can further improve the understanding on the impact on RTW for the breast cancer survivors. Better knowledge on work related problem, cancer, and its treatments that induce physical, cognitive, psychological effect on survivors will help the related personnel to develop necessary interventions, and rehabilitation of the survivors. Consecutively, this effort can motivate and enhance the rate of RTW to a great extent. The post-doctoral research fellow position for this project was jointly funded by University of Malaya (UMQUB 3C-2011) and Queen's University of Belfast. The study was supported by an HIR Grant UM.C/HIR/MOHE/06 from the Ministry of Higher Education of Malaysia. Authors would like to thank Ms Sweety Paul for initial literature search. TI conducted the literature search. TI, TTS and MD were involved in both the selection of articles and data extraction. All authors contributed in design of the study and write-up of the manuscript. MyBCC study group: Taib NA, Hussain SH, Dahlui M, Su TT, Bhoo-Pathy N, Ng CG, Majid HA, Nahar AM from University of Malaya and Murray LJ and Cantwell M from Queens University Belfast.